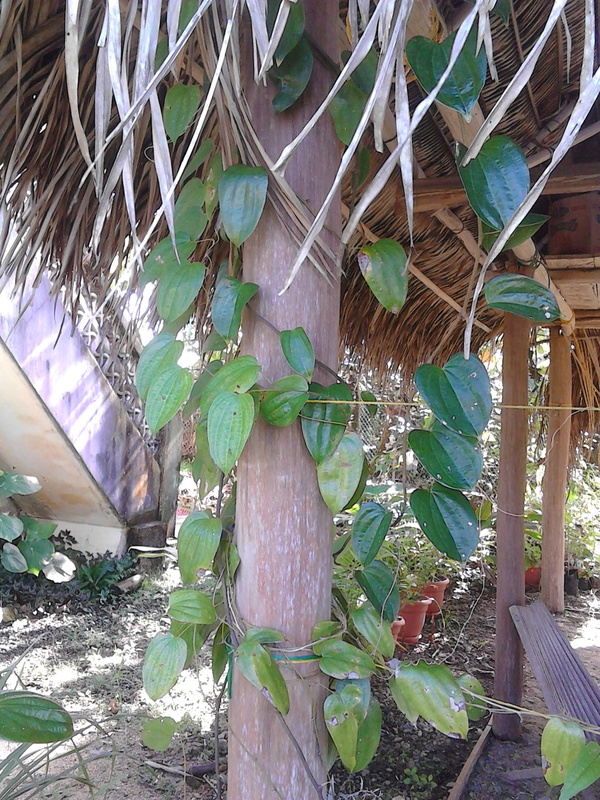 If there were ever a misnomer in the plant medicine kingdom, Wild Yam (Dioscorea mexicana) would win first prize. This large woody yam looking inedible root is quite unlike any yam you may have ever seen in your life. Aside from its preferred jungle habitat, there is actually nothing wild about this plant. It is gentle by nature, and yet one of the most powerful healers on this Earth. Wild Yam rhizome root and vine grow slowly and quietly within the rain-forest climate of southern Belize, and continue to do so quite peacefully in my garden. I love this plant, and I am pained by what is happening to it. Increasing popularity has placed the Wild Yam in great demand, and it is unfortunately being over-harvested by the ignorant towards possible extinction. Until recently, the Wild Yam was the sole source of the hormonal material used to make pharmaceutical birth control pills for the entire world. It was never replanted, and the population has not been returned to the rain-forest. This is a horrible thing to be happening to such a beautiful healer who has given humanity so much for so long. Wild Yam has a sweet bitter flavor with very warming energy. Its biochemical constituents are comprised of saponins that are precursors of the female hormone progesterone. Saponins are plant components that have a direct medicinal effect on certain organs of the human body when taken internally. The medicinal saponins in Wild Yam help heal the liver, gallbladder, kidneys, spleen, and pancreas. The hormone precursors support the ovaries, uterus, and fallopian tubes; improving and toning the entire female reproductive system. Wild Yam has anti-inflammatory and anti-spasmodic properties, and is known as Colic Root or Rheumatism Root by native healers. Historically, it has been used to treat gallstones pain, menstrual cramps, arthritic and rheumatic pains, abdominal and intestinal cramps, and colic. Naturopathically, Wild Yam is used in natural hormone replacement therapy as an alternative where progesterone is the problem. This medicinal plant is known to balance female hormones as it stimulates the production of natural progesterone; making it the perfect modern day herb for alleviating menopausal symptoms, uterine pains, cramps, PMS, and regulating the female menstrual cycle. 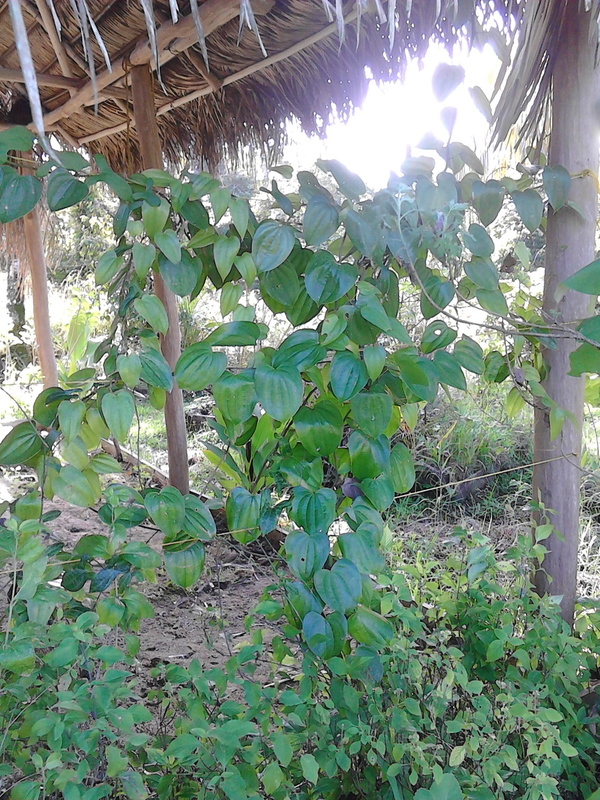 Traditionally, Midwives use Wild Yam to treat after pains, infertility, threatened miscarriage, and other problems of childbirth. It is also used effectively but less frequently for chronic gas or flatulence problems. Wild Yam also contains a high amount of zinc, so it can serve as a nutritional supplement where this mineral is lacking. Wild Yam is good for regulating the menstrual cycle, balancing female hormones, PMS, alleviating menopausal symptoms, easing uterine pains, and cramps. Wild Yam tones and supports the ovaries, uterus, fallopian tubes, and the overall female reproductive system. Wild Yam is very good for enhancing fertility. Ready made Wild Yam tinctures are available from Mountain Spirit Wellness. Available only in Belize.